A new concept has been created by French new media production company Avoka, which has taken inspiration from traditional vinyl record players, and takes the form of the very unique Dyskograf. 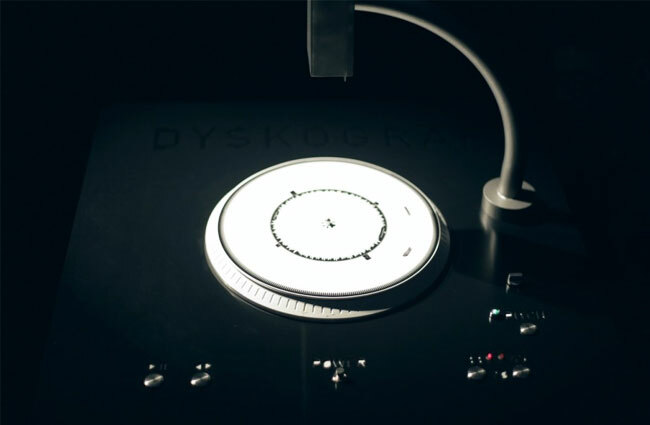 The Dyskograf is an interactive sound installation that allows users to create music by making marks with a felt pen onto paper, and relies on the camera positioned above to transform them into audio sounds, rather than the needle. The team of creators behind the unique Dyskograf music installation have created a custom designed software which in conjunction with the camera detects marks written on the paper records, with each mark creating an individual sound within the loop. Check it out in the video below. Unfortunately don’t expect the unique music looping concept to be arriving in stores any time in the near future. For more information jump over to the Dyskograf website.